Gardening, Food, Art, Music – What Else Do I Need? After spending a very productive day in the garden yesterday, I went shopping this afternoon. The short version of the story is I probably shouldn’t be allowed out alone. I came home with a Tahitian Lime (Citrus x latifolia). As most of you are likely aware, Hobart is the southernmost capital city in Australia, and we can get quite fierce winters, with frost and occasional snow. Trying to grow any kind of lime is tempting fate here, but I recently heard about a tree in a nearby area that yielded 9 kilos (just under 20lb) of fruit. While I was in the garden yesterday, I had a look around and thought about where the warmest place in my patch would be. So today I bought a very healthy little tree that’s been grafted on dwarfing lemon rootstock. And I think that’s the trick with selecting trees for your climate – look carefully at your site, determine what it can and can’t accommodate and choose trees that are grafted onto rootstocks that suit. The plan with this lime is to overwinter it in the greenhouse and plant it out in spring into a tub against a concrete wall that gets a lot of sun. Fingers crossed! I’ll keep you updated. And around the corner from the garden centre is one of my all time favourite food shops – Ziggy’s Supreme Smallgoods. These folks make and sell their own smallgoods as well as local and imported cheeses, pickles and (mostly Polish) biscuits and canned goods. I restrained myself to Cabanossi and Ukrainian sausage, Chicken Kiev, Chorizo (both for later in the week), fresh sliced Ziggy’s bacon and a couple of cheeses – because cheese! 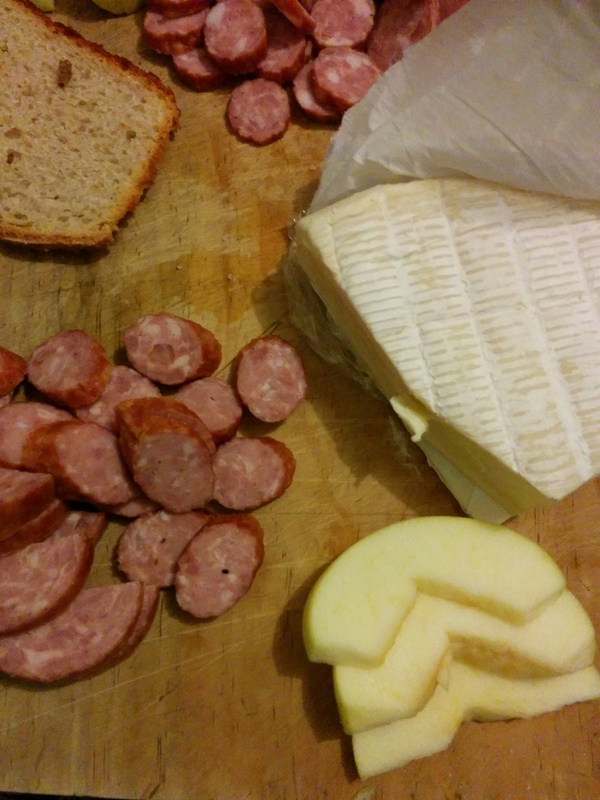 So tonight’s dinner was a veritable feast of the two sausages and one of the cheeses, served with thin sliced, toasted home made sourdough and slices of fresh apple. It was bliss! Hobart is the place to be at the moment. Dark Mofo, one of my favourite festivals is in full swing this week but it’s not the only thing happening. 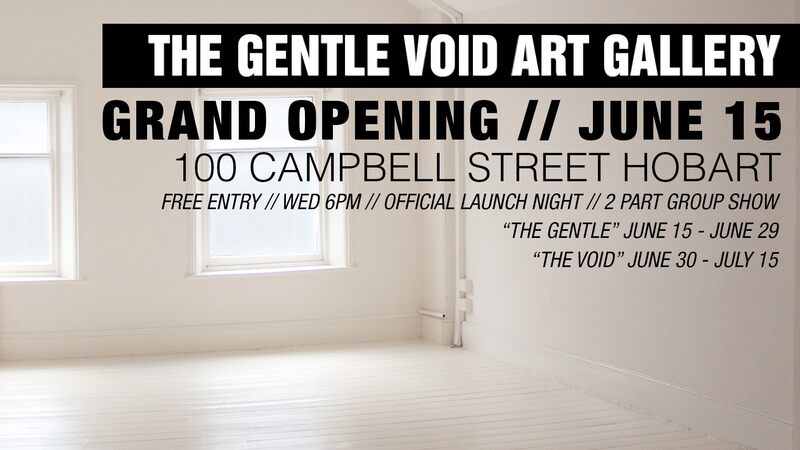 Tomorrow night is the grand opening of The Gentle Void, a new art and performance space in Campbell Street. The idea behind this new gallery is to give room to alternative voices and provide a welcoming space for audiences. 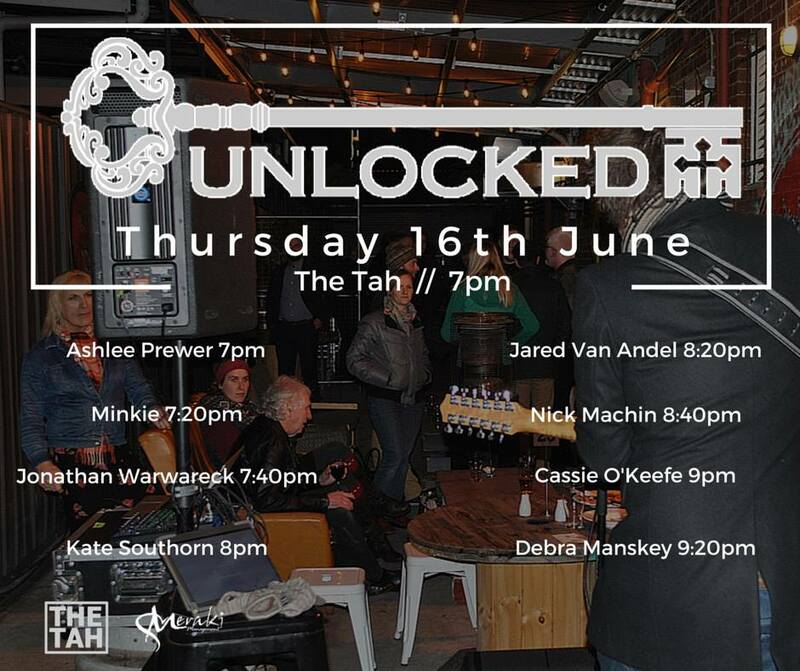 I’m really looking forward to seeing the opening group show, featuring artists from around Australia. As to the title of this post – what else do I need? A book, always a book – and that’s where I’m off to now.